Tatiana Khatyukhina, the lawyer of Khujand (Tajikistan) office of the Center for human rights, is going to help 27-year old Vladimir Meslovich Burkhanov receive birth certificate and, consequently, the passport of Tajikistan. The only document he has now is the statement, verifying his placement in the medical institution in 1990-2003. - We were addressed by citizen Burkhanov – says Tatiana Khatyukhina. 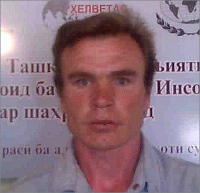 – His only desire is to receive the Tajik passport. We were very surprised by this fact since he already turned 27. According to constitution, every citizen, reaching 18, must have passport as the document, verifying his identity. Vladimir does not remember his parents. He does not know where he was born. The only thing Vladimir knows is that he was placed in the hospital (the Kuktosh village, the Rudaki district) at the age of 7. The lawyer of the Center requested the birth certificate for Vladimir from the Republican hospital. She is affirmed that the kid could not be placed to the hospital for such a long period without birth certificate. The doctor’s recommendation only is not enough for de facto 13 years of "imprisonment". - I was interested why during 13 years Vladimir’s health condition was not observed by the physicians? Why the possibility of outside treatment was not discussed? If Vladimir died who would have been notified? In response to lawyer’s request, H. Kungurotov, the head physician of the Republican mental health clinic, informed that Vladimir was hospitalized by the recommendation of some Turdialieva, the physician of Republican outpatient psychiatric facility. The recommendation letter included his mother’s name – Nadezhda Petrovna Chernomorec. Vladimir’s diagnosis was "mental retardation with light debility". The letter also indicated that, according to Ms. Chernomorec, Vladimir was taken from orphanage when he was 4. The Center representatives also addressed the deputy Public Prosecutor of Sogd Oblast with the request to help get Vladimir’s birth certificate. The office of Public Prosecutor sent the inquiry to Republican mental health clinic. The response was the same. According to the Republic of Tajikistan Interior Ministry migration service Ms. Chernomorec was registered in Dushanbe and died in 2007. - Analyzing insufficient information– says Tatiana Khatyukhina – we can say that Vladimir was born in 1983 while the exact date and the identity of his parents are not known. It is also unclear when and how he was adopted by Ms. Cernomorec and how he was placed in the orphanage. Obviously, at the age of 7 Vladimir attended secondary school # 11 in Dushanbe for two months. Why did not Ms. Chernomorec inquire about the health of the kid in 13 years? Why did not orphanage representatives inquire about Vladimir? The most serious question is addressed to tutorship and guardianship authorities: why did not they show lack of attention to the kid? - I read many articles about retardation among kids – the prominent lawyer continues. – Such people are not dangerous and adapt well in the community. The only thing is their arrest. So the question is how much justified was the decision to keep in isolated hospital? Why did not he attend lessons? Who nobody showed care about his life? There are many other questions that do not have answers yet. After talking to Vladimir, the employees of the Center for human rights provided clothes and shoes for Vladimir and temporarily placed him in the center for homeless people. After one month of Vladimir’s stay there the entire personnel was saying Vladimir was a good and laborious guy that speaks fluent Russian and Farsi. They also mentioned that Vladimir’s lengthy stay in the medical institution negatively impacted him. - My statement will be heard by the top authorities. I hope Sherkhon Salimzoda, the Prosecutor General of Tajikistan will also read my statement – says Tatiana Khatyukhina. – I would like to ask him to help get information about the relatives of Vladimir and receive the birth certificate. I believe Mr. Salimzoda will be able to overcome all bureaucratic barriers and build the ground for the act of kindness. P.S. At the moment, Vladimir is employed as the assistant manager in chaikhana (café) in the Shakhristan district, located 120 kilometers away from administrative center of Northern Tajikistan. The employees of the Center for human rights presented him the cell phone in order to stay in touch. Vladimir is glad he is surrounded by kind people. The life of 27-year old man is just commencing.